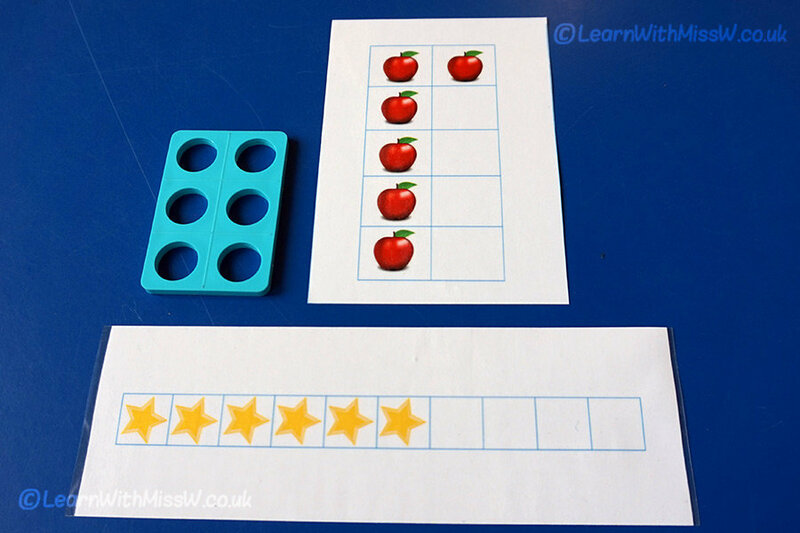 Visualising quantities builds a deep and transferable understanding of numbers. This is one of the areas highlighted by the Mastery in Mathematics approach and a principle that I have used ever since I read Catherine Stern’s work ‘Children Discover Arithmetic’ in my first year of teaching. I had wondered for a long time which of these approaches was most effective, but now I realise exposing children to each visualisation deepens their understanding considerably. Similarly, the Mastery in Mathematics approach is not a scheme, but principles that can be achieved with different resources. The numicon tens frame structure creates easy to identify representations of numbers to 10 and lends itself to understanding odd and even. I’m lucky enough to have access to enough numicon sets for both direct teaching and sets for free play in the sand etc. The other tens frame structure, first building to 5, lends itself to studying numbers larger or smaller than 5, adding from 5 and using 5p coins. 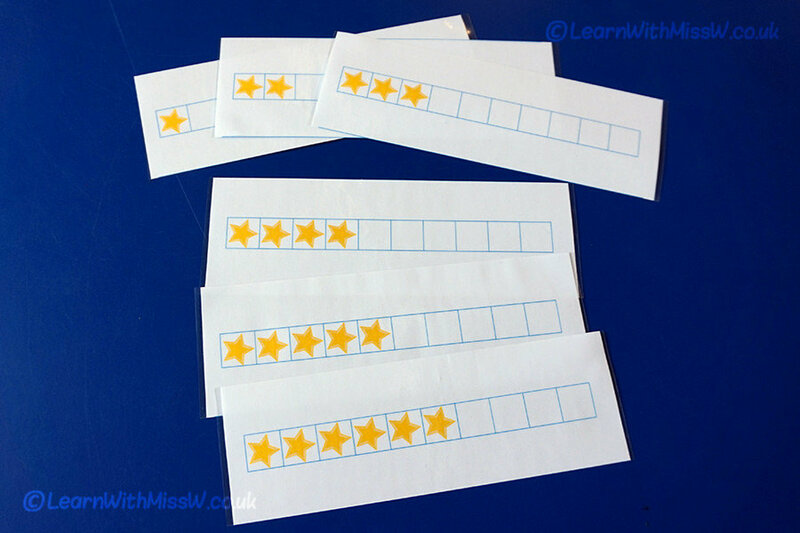 I have made my own sets of cards to 10 for quick recall and for children to free play with. The linear Dienne’s / Stern representation reinforces writing numbers in a sequence and counting in a logical order. 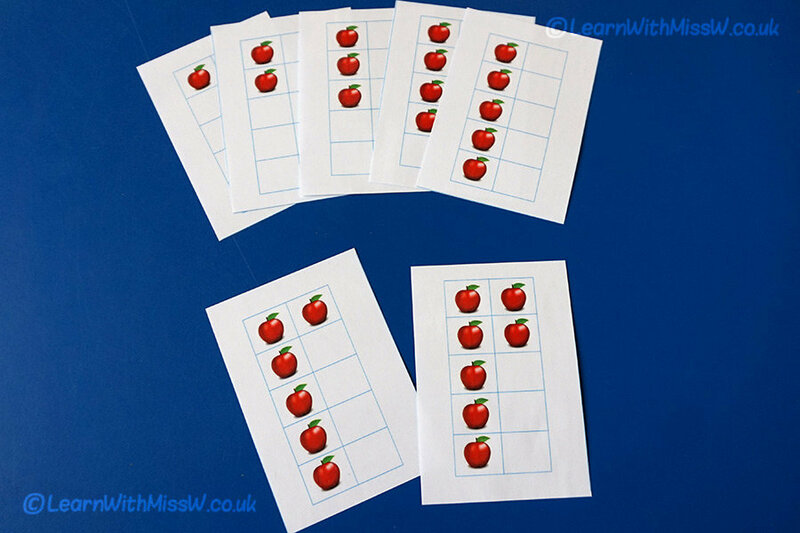 Similarly I have made my own laminated paper versions for use at teaching time or maths play. There may be some sets of Dienne’s blocks and Stern rods somewhere in the school, I’ll be on the lookout next term. So in a month’s time I will be welcoming a new group of pupils and introducing them to the wonders of maths. They will have had different experiences up to this point, and it will be my job to enrich and extend their understanding of number to build a firm foundation for future learning in maths. Structured visualisation using these tools and others will be an important part of what I do.